Air 1 ® is the industry recognised market leading AdBlue solution. 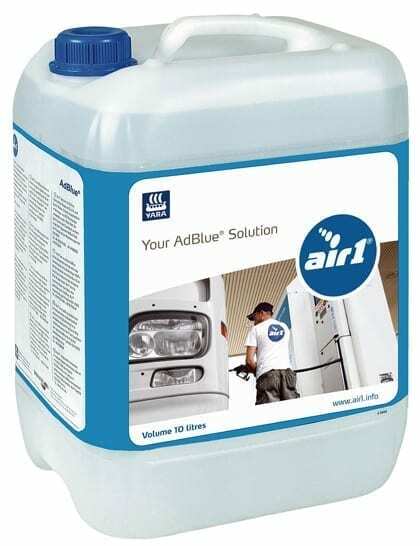 Manufactured under strict conditions to an ISO accredited standard, the Air 1 AdBlue Product is now available easy to manage in a 10 litre container, weighing only 11kg each. In addition each can is supplied complete with a flexible delivery spout which can be easily attached for spill free filling.